Where’s the 2018 Midterm vote headed? 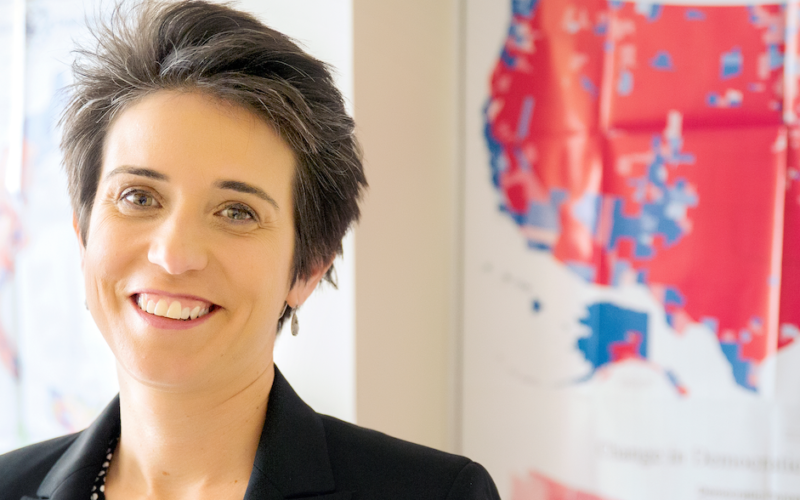 Amy Walter, National Editor of The Cook Political Report, is the person to talk to. We discussed the Blue Wave, whether a Tea Party is forming on the left, and why — to understand how a district may vote — you should look at Trump’s current approval rating in the district rather than his 2016 performance. Chris: Amy, you’ve noted that in recent mid-terms elections, the gender gap has been in single digits. But we also heard that 2018 is Year of the Woman. Where do you see the gender gap for this mid-term? What role will women candidates and voters play? Amy Walter: I do think that’s one really important distinction to make when we talk about the year of the woman. The distinction between women as candidates and women as voters. There are record number of women candidates who have filed to run. We don’t know how many of them will ultimately become the nominee, and of course how many of those nominees will ultimately become members. So, that will determine whether this is a historic year for women. There’s certainly been an intense interest among women to be candidates. But I’m also really interested in women voters and how they choose to cast their ballot this year. As we saw in the last election, there was a gender gap, been a gender gap since 1980 at least, and since we started covering this on the presidential side. But when it comes to voting in mid-term elections, while women have voted more often with Democrats, they cast a bigger percent of their votes with Democrats than with Republicans. It feels like we’re at a place now where this could be a historic number of votes cast for a Democratic candidate versus those for the House. So, when I looked at the President’s overall approval rating right now, he’s got about 49% approval rating from men and just 34% approval rating from women. So, let’s just pretend that ultimately is the final vote, right? The Republicans candidate for Congress gets of all the votes cast for them, 49% of men cast their ballets for Republican, but just 34% of women cast their ballets for a Republican candidate. That would be a 15 point gender gap, and that would be the biggest that we’ve ever seen. I do think this raises a couple of questions. The first is, we are now a country that is so divided on so many different fronts: We know that it’s geographic, whether you’re rural suburban, we know that it’s on race. We know that again we’ve had an issue dividing men and women called the gender gap. But to be at a place where now we have only a third of women supporting a Republican president, what does this mean as we go forward for a Republican party? What does it say about the Democratic party if they continue to lose men by a significant margins? So, I think this is a really fascinating phenomenon and you start to wonder too whether this is something that is going to continue post Donald Trump, or whether we are now kind of locked in. And I think for Republicans the number that I would be the most nervous about was that number I saw the other week – a Survey Monkey pulled that Axios reported on that showed that among Republican women, the support for the President among women over 50 was really good. It was somewhere in the mid or high 50s. But among women under 45, it was only about 34-35%. That generational divide is a real problem for Republicans. Not necessarily this year or 2020, but you sort of play that out over the years. And if you lose these women that now identify as Republican to Democrats, and they don’t come back, that is a demographic time bomb just waiting to go off.